The True Cost is one of those documentaries that really makes you think and commit to making a change in your own life. 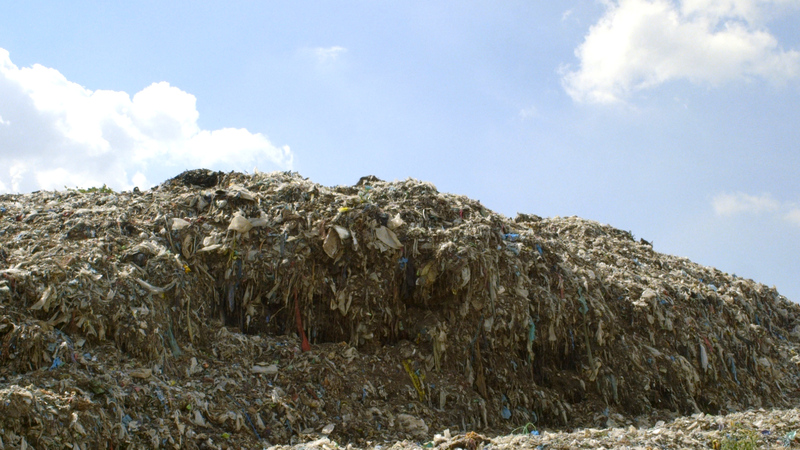 The relatively recent advent of ‘fast fashion’ has resulted in several huge problems which are explored in The True Cost – spanning from environmental degradation and the use of harmful insecticide chemicals which make cotton farmers sick, to massive human rights violations in ‘sweat shops’, to the deaths of over a thousand garment workers in Third World countries. Across the documentary, we learn that the fashion industry is the world’s biggest polluter second only to the oil industry, that the world consumes 80 billion pieces of clothing per year (a 400% increase from 20 years ago), and that only 10% of clothing donated to charity/thrift shops are sold, with the remainder ending up in landfill. And also, that the year after significant disasters and loss of human life in the garment industry was the most profitable year for the fashion industry. It’s these sobering facts, and more, that cause us to examine our own actions as consumers; and in communicating these facts and problems, the documentary is extremely effective. The True Cost uses talking head interviews to great effect, interviewing key subjects in the fashion industry, owners of sweat shops, key figures in the garment industry including proponents of ecological fashion labels, and most importantly, interviews with garment workers in Third World nations such as Bangladesh and Cambodia. Probably the most impactful of all is learning about the direct human experience of workers whose rights are stripped away and are forced to work in horrific conditions which are damaging to their health. It is communicated to us that these mostly female workers have no other option than to work in factories where they are surrounded by harmful chemicals, and due to other social and economic factors, having to bring their children to the workplace, exposing them to the chemicals also. One of the most powerful aspects of The True Cost is exploring the human impact of our choices as consumers. One of the film’s greatest strengths is its use of visuals. We are treated to visuals that are both beautiful and confronting: huge, piles of wasted textiles rotting out in the open; infamous and graphic photos of the garment factory collapse in Bangladesh; the hardened faces of workers who sacrifice their bodies and human rights to make the disposable fashion on sale. Director Andrew Morgan makes great use of the imagery that is available to him in his filming locations across the world, and he doesn’t shy away from showing us the disastrous results of what is discussed in the film. 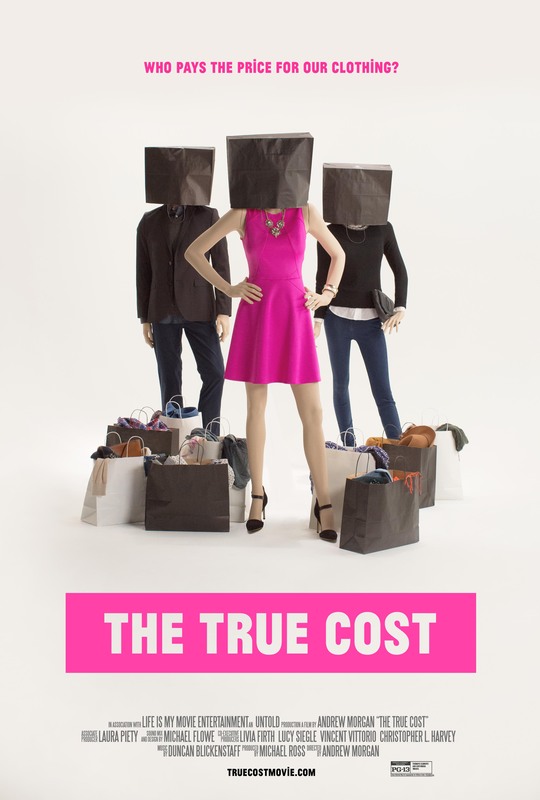 Towards its conclusion, The True Cost shows us a horrifying contrast between frenzied Black Friday shoppers, fashion runways and Youtubers hauling clothes for a bargain, with workers in the garment factories who experience life-threatening conditions to make what everyone is consuming. It’s actually a grotesque image when considering what we have already seen during the rest of the documentary. In this way, The True Cost is a very effective documentary indeed at exploring an important issue in a fairly balanced manner, posing some possible resolutions or strategies to manage the problem, in a manner that is approachable and is an absolute call to action. The True Cost will make you angry and upset, but I believe this is an absolutely necessary film to watch, in order to inspire a change. I saw this about a year ago, and I’ve completely changed my mindset — not just habits, but the way I think about clothes. Even walking by Primark makes me upset now. Lovely review, I’m glad you enjoyed it too! Thanks Elina! Yeah, it’s funny how documentaries can have a powerful impact on how you perceive something as normal to daily life as buying clothes. I was wandering around Kmart today and was reminded of The True Cost – there were t-shirts on sale for $4 or something, and I couldn’t help but think about the garment factories in Bangladesh. Crazy.